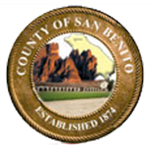 The 2020 Census is an opportunity for San Benito County to be counted. It is critical that the county be counted completely. Visit this page frequently for more information and resources related to the 2020 Census.